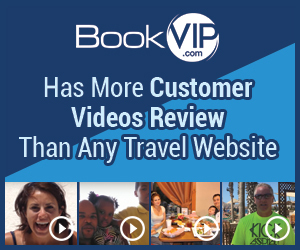 Next review Bookvip - Canceling reservation is a huge hassle!!! Please note that it is the participating resort provider who issues the confirmation of your reservation. The resorts generally issue confirmations in order of arrival date and since your travel dates were in September, 2016, your confirmation number had not yet been issued. However, BookVIP, as the booking company, immediately sends all customers a receipt confirming purchase of the vacation package. We did not receive your email requesting a cancellation of your vacation package. Because your vacation package was final and non-refundable when you called BookVIP to request a cancellation, your travel dates were cancelled as requested and you were given 18 months to use your credit towards any one or more BookVIP vacation packages for which you are qualified. You also have the option to transfer your vacation package to a third party who qualifies for a BookVIP promotional package. Please refer to the Terms and Conditions you agreed to in order to finalize your vacation package and have your travel dates sent to the resort. I booked a vacation thru your company on the 7th of this month. Later that week i was laid off and logged onto your site bookingmeter.com on the 13th to cancel. I sent a message in your contact us link due to after hours. As of today the 18th i have yet to hear back so i called only to be informed that their is nothing that could be done because a confirmation email had not been sent to me. I requested a refund and was put on hold for another supervisor who told me i could give it away and that i would be put on a 12 month open booking. I was told i could find a job within that time period and use it at a later date. I have 5 kids.....really think i want to use it at a later date? I would rather have my money back to take care of bills now. Funny i had a confirmation email within 10 minutes of hanging up stating i could book within 12 months. Not a very good impression. I have been charged and still have yet to hear from the actual resort that they recieved my reservation. Really not impressed. Review #793143 is a subjective opinion of User793143.